We had another light month of patent listings. 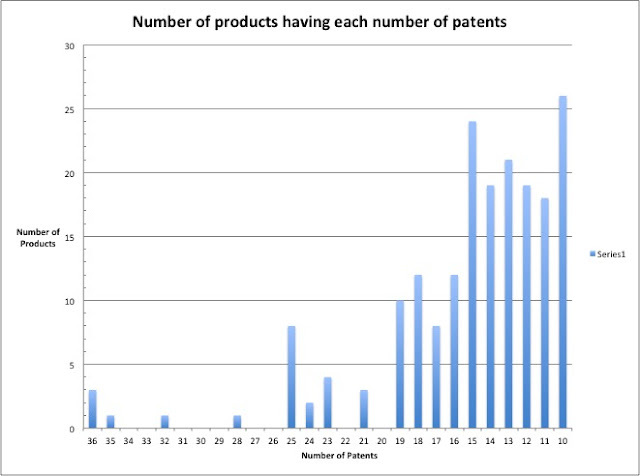 Only 36 new patents were listed in February. Are we still in a New Years hangover? Unlike last month no single product dominated the new listings. Three patents were delisted well before their expiration dates. I could not find any IPR decisions or patent listing disputes for those patents. One NDA holder delisted two of those patents from one of its products and listed them for another of its products. Maybe just a mix up during the listing process? If so, this is another example of why companies need to pay special attention to their end-to-end patent listing workflow. Pfizer received a three-year “miscellaneous” exclusivity (M-237) for CHANTIX based upon their completion of a study “to determine whether varenicline, as part of an overall smoking cessation program, is effective in achieving and maintaining smoking cessation in tobacco-addicted adolescents, ages 12 through 16, inclusive.” [Approval letter, Feb. 22, 2019]. OMG! With so many decades of warnings about the adverse health effects of tobacco why is such a study still needed? Well, these days it is not only cigarettes that are grabbing the attention of youngsters. FDA Commissioner Gottlieb released a statement on March 4 in which he said that “the number of children using e-cigarettes remains at epidemic levels.” So a drug that could help wean young people off any nicotine-containing product would be welcome. Section 8.4 of the new label provides two further paragraphs that describe the study. While we all might wish that education alone could reduce the use of nicotine-containing products, there is still a need for effective treatments to help those who wish to get off the drug but may have failed when trying to do it alone. AFREZZA (insulin recombinant human) from Mannkind Corp., BYDUREON PEN (exenatide synthetic) from AstraZeneca AB, and HYSINGLA (hydrocodone bitartrate) from Purdue Pharma LP.